The region is living on Syria’s watch. Initially, everyone was concerned with Syria. You couldn’t ignore her role. Today, you can’t disregard her tribulations. The scenes of cruelty she is sending out have pushed all nearby and faraway homes to closely monitor her struggles. In that land, which is vulnerable by virtue of its makeup, location and radiation hazards, a conflict connected to the region’s main arteries is raging. It is a relentless and merciless Syrian-Syrian war. It is a regional confrontation that is unprecedented by its severity and stakes. And it is a public show of force involving the Great Powers after the withdrawal from Iraq and the onset of the Arab Spring, chiefly the latter’s Libya episode. The Syria we knew before the outbreak of protests is no more. The regional player’s grip has slackened. The cards have fallen from his hand. Khaled Meshaal prefers to shuteye in other capitals. Syria’s allies in Lebanon are anxious lest she would drown in her crisis and her own blood. Those who dreaded Syria’s role and her ability to shuffle cards outside her borders now fear for Syria and the shuffling of cards within her borders. One side is anxious about a protracted civil war. Another is stressed by recollections of Yugoslavia dragging the world into military intervention. A third is losing sleep over prolonged and blood-drenched chaos and the fall of the missiles and chemical weapons arsenal in this or that hand. A fourth is worrying about the waves of refugees and a meltdown of the sectarian reactor. That’s what the journalist hears when trying to take the region’s pulse. You ask your Iraqi friend about the “Maliki crisis” in which he is involved. His answer is that the crisis in Baghdad is serious, but the one in Damascus is more alarming and that the Iraqi street is split over happenings there. Jordan too lives on Syria’s watch despite its internal woes. Jordan is caught between the hammer of the Palestinian-Israeli peace stalemate and the anvil of Iraq’s setbacks and Syria’s flames. It fears an influx of Syrian refugees and increased public sympathy with Syrian protesters. It is also in fear of waking up one morning to the sound and fury of international military intervention in Syria. Lebanon has been living on Syria’s watch for decades. This country has an exceptional capacity to invite trouble. The recent bloody face-off between Sunnites and Alawites in northern Lebanon is only a sample of what could happen. Much of the positions of the Lebanese on the events in Syria are undeniably sectarian-tainted. This is true of the regime’s allies and adversaries. Lebanon shudders in fear. The Sunnites fear the likelihood of the regime remaining on its feet “for a while.” The Shiites fear the likelihood of decision-making in Syria reverting to factions that challenged and fought them. The Christians run their eyes over the embers of minorities and minorities’ fears and then disunite. Amidst the mounting fears and predictions, President Michel Suleiman is trying to reunite the Lebanese under one roof. He is trying to put off the outbreak of fire. The Lebanese feign busying themselves with national dialogue topics and files with their eyes glued to Damascus. It would be hard to rein in disintegration in Lebanon once it kicks off in Syria. Turkey too is monitoring the Syrian reactor. Its radiations muddled policies it spent years formulating; it also brought about economic losses. Recep Tayyip Erdogan dreams today of ousting his former friend. The game plan is intricate. Turkey can’t ignore the Iranian and Russian positions. At the same time, Erdogan cannot tolerate a prolonged regional civil war on Turkey’s borders. Radiations from the Syrian reactor are being transmitted through the atmosphere to nearby and outlying capitals. The radiations have become more lethal lately. The world can’t bear that for long. 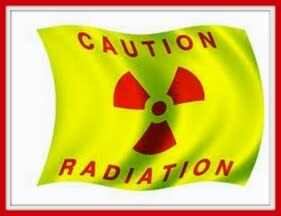 Russia herself will need to act and propose a solution to stop the leakage of radiation. It is wrong though to sleep like a log on the silken Russian pillow.